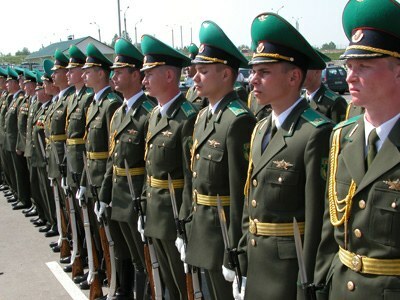 Border troops represent the military formation, which is intended for the protection of the external borders of our state on land or on water. Border security is serious business, and get in the border troops is not easy, but possible under the following conditions. For starters, you serve in the army by conscription. Currently on the border are only under contract, and to get in the border troops, first you have to serve military service in the Armed Forces. Any citizen of our country has the right to enter military service under the contract. In the border troops credited those aged 18 to 40 years. Thus, for implementation of the plan, you should contact a military Commissariat, where you depend on the military account. Also you can refer to a military unit suitable for service under the contract. Be sure to walk the medical. And having been in the military Commissariat positive response, you can safely go in the border troops for service under the contract. To get to the border troops by income in the border institutions of FSB of Russia. For admission in above institutes you must pass a medical examination and professional psychological selection. You should also have a high level of physical fitness, certificate of no criminal record, alcohol and drug addiction. In addition, you are required to undergo entrance tests. In this case, count the results of the exam and other tests profile orientation. In the border troops to serve hard time, even if you are very well physically prepared. This is due to the fact that a person sent to serve in the conditions unusual for him. It is difficult psychologically. Because of the back country, and in front of you is quite another, foreign state. Once you have great responsibility, and here the main thing - to be able to quickly and correctly make decisions in accordance with applicable law. Think before you go to the border troops, if you can withstand that great school of patriotism and loyalty to the Fatherland.